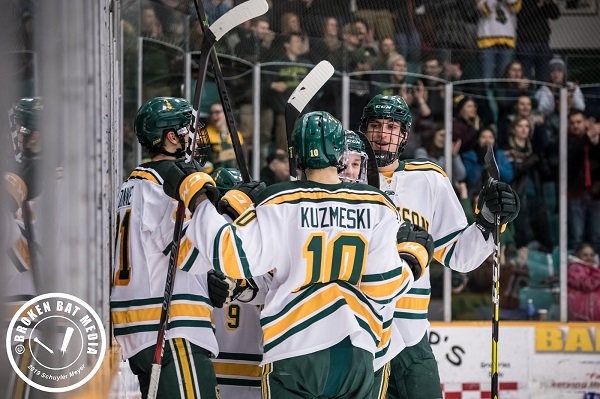 After watching my son’s team, Clarkson University, lose in overtime to Notre Dame in the NCAA Hockey Tournament, I was so disappointed and sad for the boys, but also proud of the way they prepared, practiced, and sacrificed for a whole season to get to that one game. What if the livelihood of your business was similar to a one-and-done NCAA basketball or hockey tournament game or national championship football game? Would you be afraid of sacrificing too much for just one moment? And would you do things differently if literally everything was on the line? Think about the preparation that goes into one game in sports. Scouting, watching endless video, training, practicing, and coming up with a hopefully flawless game plan – all for one game. What would you do more of if your business was on the line every time you had an opportunity to make a sale? Would you have the best marketing to set up the sale, over-prepare for the meeting, script exactly what you want to say, and practice, practice, practice for all of the potential scenarios? How good would we all be if we devoted our time to getting this one sale/meeting/moment right? It would be disappointing if we didn’t win, but why not at least give it our all and set ourselves up for the best chance at winning? Certainly a lesson learned for me from my son and his team.